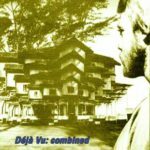 Home / Books / TDVP / Reality Begins with Consciousness 5th ed. Free PDF Glimpses and Glossary 2nd ed. 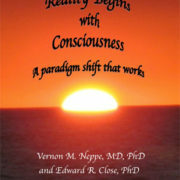 View Cart “Reality Begins with Consciousness 5th ed. Free PDF Glimpses and Glossary 2nd ed.” has been added to your cart. 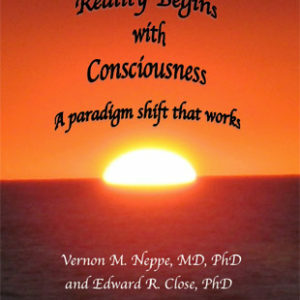 Reality Begins with Consciousness 5th ed. Free PDF Glimpses and Glossary 2nd ed. Renowned international Consciousness Researcher, Prof. Vernon Neppe, MD, PhD, FRSSAf, DFAPA, and International Consultant Physicist/Mathematician, Dr. Edward R. Close PhD, PE, have joined together to develop a Theory of Everything that shifts the current scientific paradigm, and profoundly challenges the current perspectives of consciousness and reality. Their model is based on science, yet supported by mathematics. It‚Äôs a must-read for all scientists, philosophers, or thinkers. Despite their breakthrough discoveries impacting millions, this book is regarded by the authors as their life‚Äôs work: Reality Begins with Consciousness describes a comprehensive paradigm shift in all the sciences‚Äîphysical, biological, psychological and consciousness, and incorporates (readable) mathematical proofs, philosophy and philosophy of science. It‚Äôs been described by different international scientists as ‚Äúdestined to become a classic‚Äù, ‚Äúmasterpiece‚Äù, ‚Äúshould be appreciated for centuries to come‚Äù, ‚Äúparadigm shift‚Äù, ‚Äúencyclopedic‚Äù, ‚Äúlong awaited unification‚Äù. 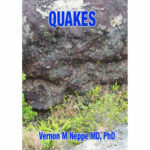 Every chapter challenges and stimulates allowing a greater understanding of our world. Written partly for scientists and creative thinkers, interested General Readers have enriched themselves, too. This book is a bargain because of the initial sale price of about 40% off, and it containing possibly the first electronic inscription to the reader in an E-book. This inscription makes it possibly a collector’s item for this reason alone, besides its unique content and on request, we can send to you a secure electronic email‚ “ZsentryMail‚” certifying your order as genuine. 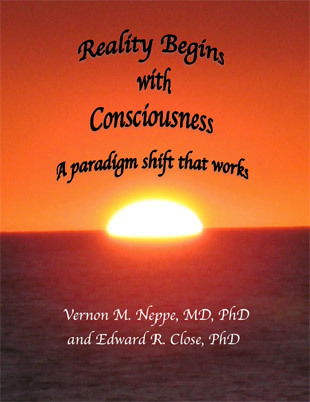 You're viewing: Reality Begins with Consciousness 5th ed. Free PDF Glimpses and Glossary 2nd ed.